Decorate your home this Christmas with this adorable wall hanging was designed by Gail Pan. 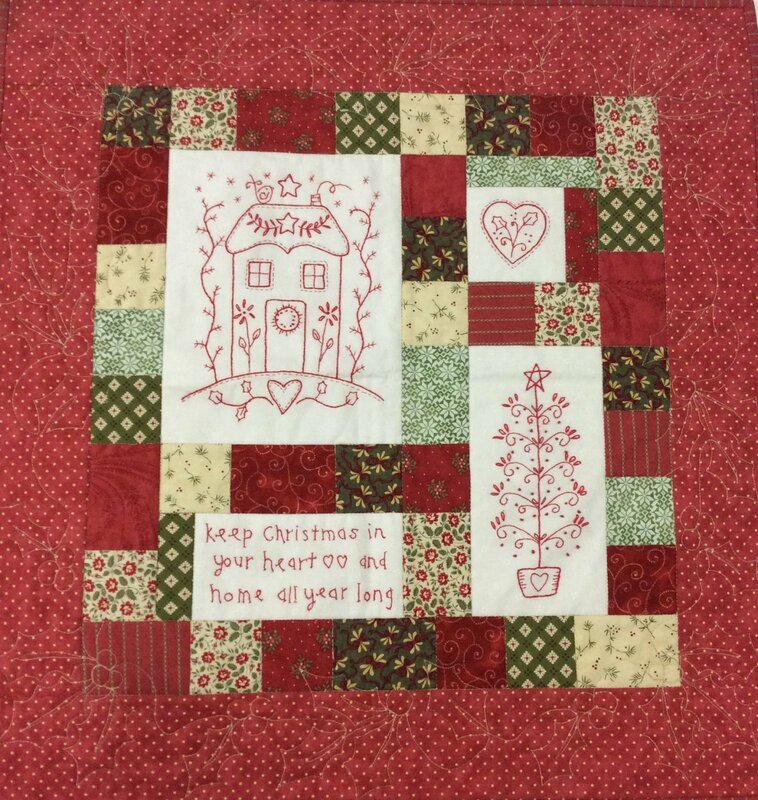 Featuring both patchwork and hand stitching, this kit includes all fabric for the top and binding for the wall hanging which measures 23" x 24 1/2". You will need embroidery floss and the book Christmas Patchwork Loves Embroidery to complete the project.